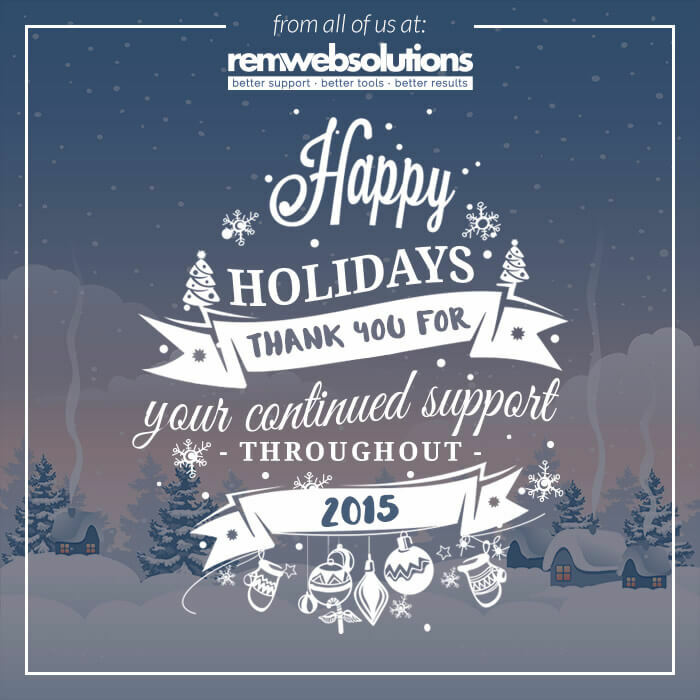 Thank you for supporting REM in such a meaningful way. We appreciate having wonderful people like you working with us, and we'd like to give you something as a token of our gratitude! Enjoy some holiday laughter by taking a peek at our Holiday Bobble Head Extravaganza (http://www.remwebsolutions.com/happy-holidays-2015) and then solve our musical puzzle to earn a chance to win a $50 gift card for Vincenzo's! As a friendly note: We are closed on December 24, 25, 28 and January 1 to allow our team a chance to spend time with their team. We look forward to working with you in 2016.